Aero just announced that it will resume flight operations today. The airline’s management has promised to reinstate all the dismissed employees. The Federal Government will allow corporate and private jet owners to operate without an Air Operator’s Certificate (AOC). The Nigerian Air Force has acquired several B737s to set up a commerical airline named United Nigeria Airlines. 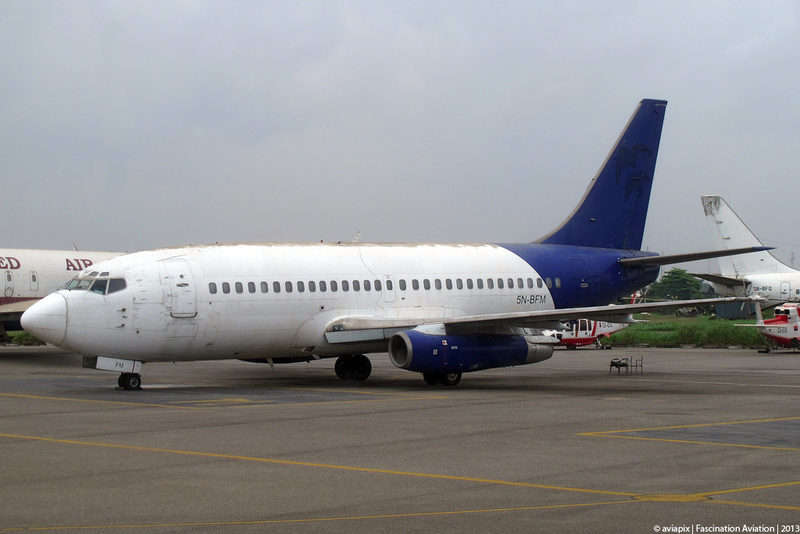 The first aircraft, a B737-500 (NAF 916; ex-LN-BRV), will soon arrive in Nigeria. Dana Air’s MD-83 (5N-JAI) remains grounded, as the airline struggles to meet the directive of the Minister of Aviation that Boeing has to re-certify the aircraft. Arik Air’s B737-700 (5N-MJI), recently spotted without an engine at Abuja Airport, was ferried to Malta for maintenance. Aero’s second Bombardier Dash 8-Q400 (5N-BPT; ex-G-JEDN) has been sprayed in its new livery. A B737-800 of Royal Air Maroc made an emergency landing at Lagos yesterday, after hitting a bird during take-off. According to a state governor, the Federal Government plans to float a national airline through a Public-Private Partnership (PPP). The Federal Airports Authority of Nigeria (FAAN) will install toll gates at all airports to increase its revenues. Lagos’s Murtala Muhammed International Airport currently ranks as the fourth biggest in Africa, but its seat capacity declined with 13 per cent in the past year. Evergreen Apple Nigeria (EAN) plans to build a chain of branded fixed-base operations (FBO) across Africa within the next seven years. Ethiopian Airlines has taken Chanchangi Airlines to court over a case of unpaid maintenance fees. Kenya Airways will increase its Nairobi-Lagos serice from five weekly to daily per 31 March 2013, while reducing its Nairobi-Lagos-Cotonou-Nairobi service from four to three weekly. Turkish Airlines will replace the B737-900ER on the Istanbul-Lagos route with A330 equipment per 21 May 2013. All Aero’s fixed-wing operations are still suspended.The airline’s Managing Director is hopeful that ‘Aero will fly again by Easter weekend‘, but earlier attempts to resume flight operations were blocked by protesting former staff members, the NCAA that wants to re-certify the airline’s operations and audit its financial books, and a court injunction from the National Industrial Court not to fire its striking workers. Hopefully, the involved parties will soon find a resolution for the crisis. The Air Nigeria-saga should be a warning to all. The Nigerian College of Aviation Technology opened its campus at Minna Airport for flight training. The Niger State Government signed a deal with NCAT last year to establish a campus at Minna, where it would station four trainer aircraft. A statement by the Permanent Secretary Ministry of Transport Niger state Alhaji Abdullahi explained that the training commenced with ‘ground school studies’ last year adding that the students are now ready to start ‘flight training with small aircrafts’. Abdullahi explained that due to the nature of the exercise small aircrafts will hover around the state at a low level. He explained that the public should not panic at the sight of such aircrafts as they bear no security risks to anybody. Domestic airline are considering to stop flights to Kano, Maiduguri and Yola due to the insecurity in the northern regions of the country. Only two of IRS Airlines’ five F100s are operational at the moment. The airline now operates flights to Abuja, Kaduna, Kano and Lagos. ATR presented its turboprops to the Federal Government last week. New en route air traffic control radar for the Nigerian flight information region should be operational by April 12, according to the Nigerian Airspace Management Agency (NAMA). Nigeria is setting up an Air Disaster Assistance Scheme. The Federal Government has approved US-based company Associated Air Center (AAC) to become an authorized maintenance organisation for the Presidential Air Fleet. The Federal Airport Authority of Nigeria (FAAN) is going back to court hoping to terminate its agreement with the owners of Lagos MMA Terminal 2. Furthermore, FAAN cancelled the lease of two plots of land to Bi-Courtney on which a hotel and conference centre were to be constructed. A good commentary on the consequences of political interference in the Nigerian aviation sector. The NCAA is trying to resolve the labour conflict between Aero and its staff. Anyhow, the airline’s operational capability has to be re-validated by the NCAA before it can resume operations. Evergreen Apple will organise the first Nigerian Business Aviation Conference on 7 May 2013. 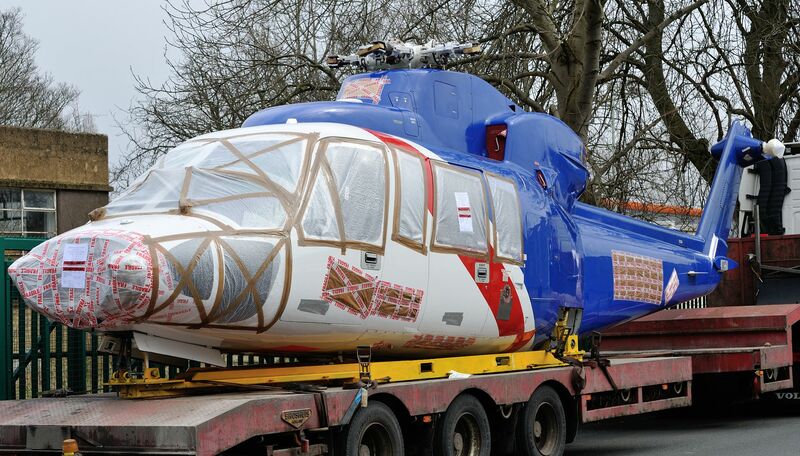 Bristow Nigeria will soon take delivery of a Sikorsky S-76C (ex-G-CGRU), which left Norwich earlier this week for Lagos. Aero will resume flight operations on 20 March 2013, following talks between the airline’s management and the labour unions. Update: the airline has now retracted its earlier statement that it will resume flying tomorrow. There are indications that the NCAA has banned Aero from flying for safety concerns, as the airline fired more than 600 of its staff in the past days. We are pleased to announce that the airline has been given approval to resume flight operations with immediate effect following the temporary suspension of our operations on Saturday, 16th March, 2013. Scheduled flights will now commence on Tuesday 19th March, 2013 on the Lagos-Abuja-Lagos route. A spokesman of the Ministry of Aviation confirmed that the suspension has been lifted with immediate effect, but the MD83 aircraft (5N-JAI) which had a technical snag last Friday will remain grounded until it is certified as airworthy by the manufacturer, Boeing. Aero’s management decided to fire the airline’s complete workforce, except for its pilots and engineers. Some of the dismissed staff members are requested to re-apply to their positions under new conditions laid down by the airline, while disloyal employees will not be re-employed. The airline is also recruiting replacement personnel. Aero suspended all its flights operations after its workforce embarked upon a strike last week Wednesday. An agreement brokered on Sunday by the Minister of Labour was not upheld by the airline. With the grounding of Aero and Dana Air, there is a huge shortage of seats on domestic routes and ticket prices have skyrocketed. Last year, the government of Akwa Ibom State awarded a N18 billion-contract for the construction of a permanent terminal building at Uyo Airport. The contractors, ALCON and Gitto, have recently begun work on the new terminal. The Federal Government has apparently given in to pressure from the Nigerian National Assembly and revoked Dana Air’s Air Operator Certificate (AOC). The decision comes in the same week in which the Director-General of the NCAA was replaced, considering that his ‘unsatisfactory response to the numerous concerns of stakeholders in the aviation sector’. Update 1: the spokesman of the Ministry of Aviation is not aware of the development. Apparently, the decision was taken after Dana Air reported a minor technical problem with one of its aircraft to the NCAA yesterday. We regret to announce the temporary suspension of our flight operations following a directive from the Ministry of Aviation through the Nigerian Civil Aviation Authority (NCAA) on Saturday, 16th March, 2013. No specific reason was given for the action. A meeting is, however, scheduled between the management of Dana Air, the Ministry of Aviation and the NCAA on Monday 18th March and we will update you as we get more information. Update 3: According to Joel Obi, the spokesman of the Ministry of Aviation, Dana Air flights were suspended after one of its planes had a safety issue with its batteries. So, although flights are suspended, Dana Air did not lose its license. Still, the question is why the Ministry interfered in a matter that should have been dealt with by the NCAA alone. 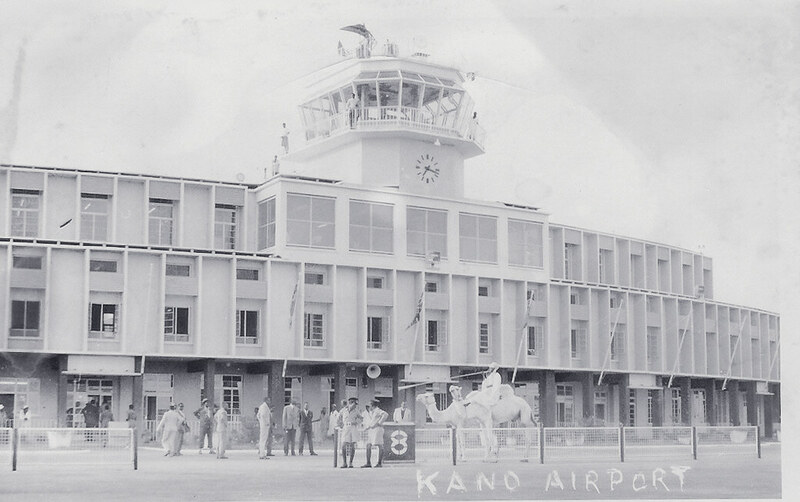 The renovated international terminal at Kano Airport was commissioned on Friday, 15 March 2013, by the Governor of the Central Bank of Nigeria. At the occasion, the Minister of Aviation announced that she granted Emirates and Turkish Airlines approval to commence flights to Kano, and that the airlines are expected to start operating into the airport before the end of the month. Asky Airlines and Ethiopian Airlines also expressed interest in serving Kano Airport in the past. Furthermore, the Federal Government will construct a cargo terminal at the airport. The renovated terminal at Kano Airport will be commissioned today. Aero is yet to resolve its conflict with the labour unions over recent cost cutting measures. Flight operations are still suspended. Fola Akinkuotu is nominated as new director-general of the NCAA by the presidency. Akinkuoto is currently the rector of the International Aviation College, Ilorin. The Senate is planning to review all Bilateral Air Services Agreements (BASA) to put an end to ‘the ongoing rip-off of Nigerians by foreign airlines’. Nigeria will soon sign a BASA with Israel. Pilgrims travelling to Israel may be able to fly directly to Tel Aviv later this year. Federal Airports Authority of Nigeria (FAAN) signed a deal with a Chinese company to build new airport terminals at Abuja, Kano, Lagos and Port Harcourt. Construction work will start in June this year. Asset Management Corporation of Nigeria (AMCON), which holds stakes in Arik Air, Aero and Chanchangi Airlines, is hopeful it will recover its investments, and is willing to sale its interests in the airlines. The Presidential Amnesty Office announced that it is planing to train 200 aircraft and helicopter pilots under its youth empowerment programme. Kano State will train a 100 pilots at the Mideast Aviation Academy in Jordan. OAS Helicopters is planning to start serving the upstream oil and gas sector. It signed a deal with Gulf Helicopter Company from Qatar to provide suitable helicopters and technical expertise. Arik Air announced it will lease two B737-300s under an ACMI-agreement to a Kano-based cargo airline, Emirate Touch Aviation Services (future website). The two aircraft (5N-MJA and 5N-MJB) are currently stored in the United Kingdom and will be converted to freighters. Apparently, Emirate Touch Aviation also operates a B727F (5N-BNQ), formerly operated by Millennium Air. Aero’s staff embarked upon a strike this morning, resulting in a suspension of all flight operations. The airline’s staff are worried about the appointment of a new human resource manager and a plan to outsource employees, while some workers complained about unpaid salaries and poor working conditions. Aero’s Management apologised in a brief statement for ‘the inconvenience suffered by our highly esteemed customers due to an abrupt industrial action by our staff which has led to grounding of all our scheduled operations’. The airline said it is engaging with the unions to find a quick and amicable resolution. Nigeria’s oldest airline is going through a turbulent time. Aero and its long-time Canadian partner CHC parted ways in 2010, shortly after which the airline’s owner, Cecilia Ibru, was arrested for financial fraud. Subsequently, Aero ran into financial difficulties and was rescued by AMCON, which acquired a 60 per cent stake in the airline in 2012. A new management took over, but apparently the airline is not yet back in calmer waters. An unfortunate decision by the new management was to scale down all online customer services; the airline no longer provides updates through its twitter and blog pages, nor does it respond to email enquiries. Harold Demuren, the Director General of the Nigerian Civil Aviation Authority (NCAA) was fired today by president Goodluck Jonathan with immediate effect. His Excellency, Goodluck Ebele Jonathan, GCFR, President of the Federal Republic of Nigeria, has approved the removal of Dr. Harold Olusegun Demuren from Office as the Director General of the Nigerian Civil Aviation Authority (NCAA) with effect from 12th March 2013. This is consequent to a careful consideration of Dr. Demuren’s unsatisfactory response to the numerous concerns of stakeholders in the aviation sector. Mr. President wishes him well in his future endeavours. Demuren was appointed in 2005 but came under pressure after the Dana Air crash last year, as members of the National Assembly held him responsible and sought his removal. The Minister of Aviation is also reviewing the Civil Aviation Act to strengthen her grip over the NCAA, thereby threatening the agency’s autonomy. Joyce Nkemakolam, the Director of Aerodrome and Airspace Standards, is appointed acting Director General of the NCAA. The renovated terminal of Benin Airport will be commissioned today. A power outage at Lagos Airport last Monday during a rainstorm forced an Emirates aircraft to divert to Lomé. Ibadan Airport was closed last Saturday, after a Caverton helicopter blocked the runway with a burst tire. After dismantling about fifteen aircraft at Lagos, the FAAN has now started clearing abandoned aircraft at Abuja Airport. CAPA made an analysis of the number of seats offered on the domestic and Nigeria-Europe routes. According to some insiders, the Federal Government favours Embraer as provider of new aircraft to the domestic carriers. Arik Air has expressed interested in acquiring Q400s, CRJ1000s and even the C Series from Bombardier. PHCN’s last two MBB Bo-105s (5N-EPA and 5N-BCJ) have been grounded over the past years. An enquiry by the Navy revealed that the crash of the A109 helicopter on 15 December last year ‘might have been caused by human error or material failure or both‘. Caverton Helicopters has ordered three additional AW139s. The company already operates six helicopters of this type. Med-View Airline announced it will soon launch a Abuja-Port Harcourt service. 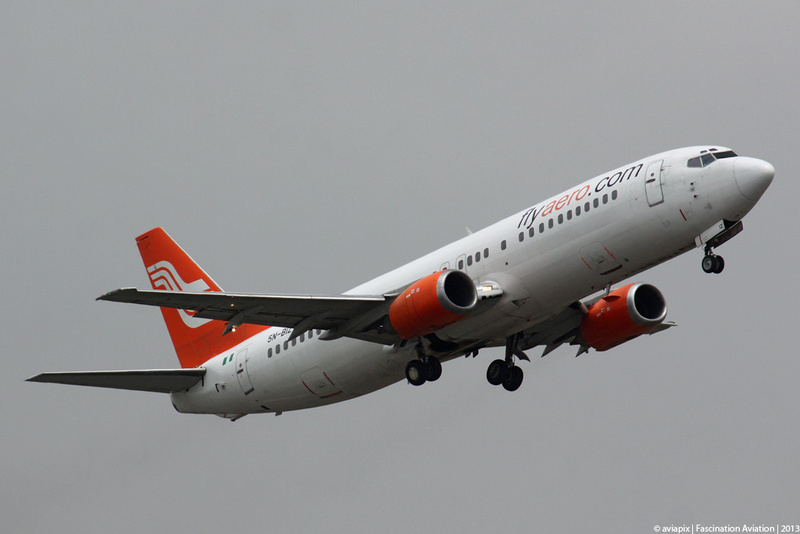 The airline is expecting two B737-800s to join its fleet this month. SkyBird Air’s third and last Do-328Jet (5N-BMH, 5N-SPE, 5N-SPM) was ferried from Germany to Nigeria this week. Hak Air’s first of four B737-400s (5N-BOT, 5N-BOU, 5N-BOV, 5N-BOW was ferried from Indonesia to Nigeria this week. DANA no longer operates a Do 328 (5N-DOW) for Punto Azul. Air Zimbabwe plans to start a three-weekly Harare-Accra-Lagos-Harare service, operated by an A320, per 2 April 2013. Arik Air’s chairman announced that the airline intends to rebuild its maintenance hangar in Lagos. The new facility will be operated in partnership with Lufthansa Technik, Boeing and Bombardier. The hangar would not only carry out major repairs of Arik aircraft, but other new generation aircraft in the fleet of other domestic airlines in the country. He called on the Federal Government to consider acquiring the Bombardier aircraft type for domestic operators in lieu of its proposal to acquire new aircraft for domestic operations in the country. Arik Air has been planning to develop a super hangar since its inception in 2006. 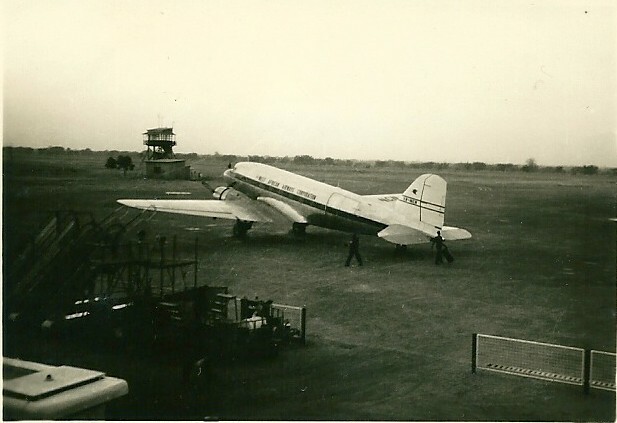 A couple of early and unique images (click here to see the whole set) of Kano and Lagos airports emerged on the net. 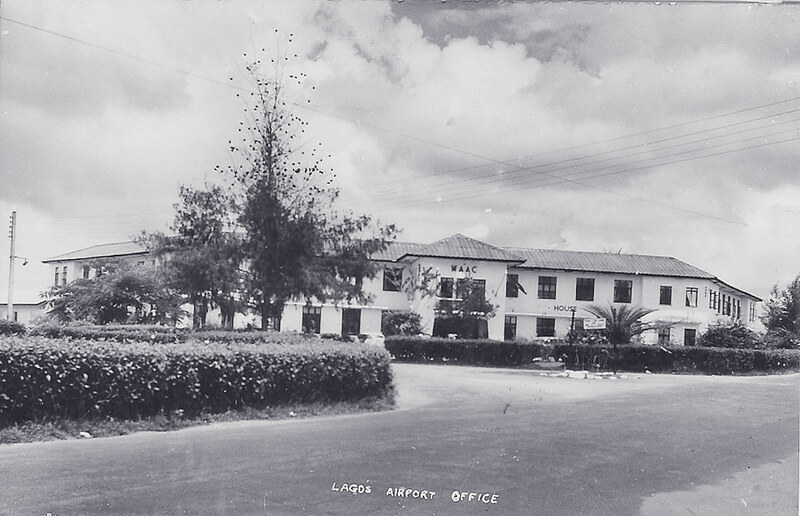 The images are part of a collection formed by a former Nigeria Airways’ station manager at Lagos and Kano (1957-1968). 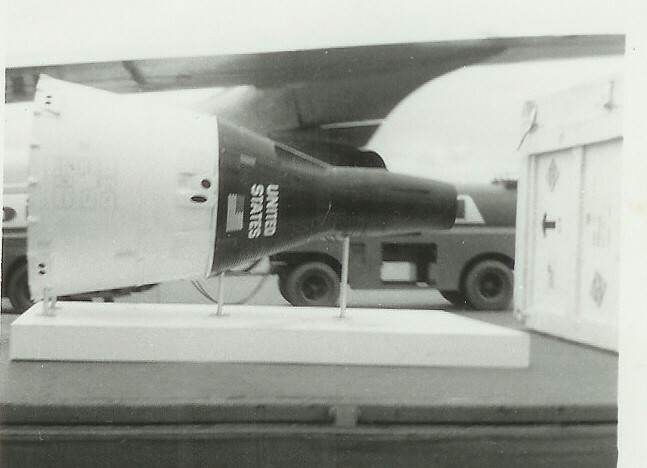 The third picture shows Friendship 7, the capsule in which the first American, John Glenn, orbited the earth in 1962. The spacecraft was also displayed at Lagos during a global tour, called the ‘fourth orbit of Friendship 7’. A group of investors plans to construct a business aircraft maintenance base at the Ido-Osun Airport this year. The State Government began building the new airport last year. 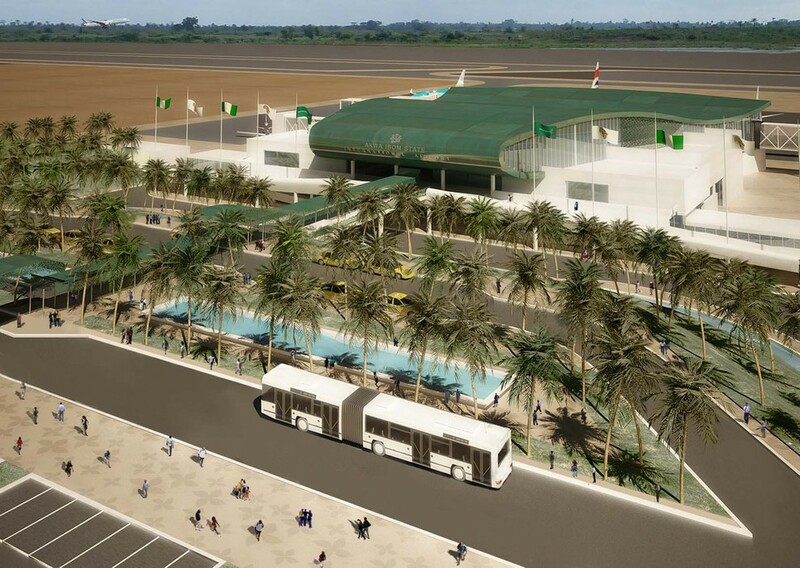 The renovation of the airport terminals at Benin and Kano will be ready this month, while those at Enugu, Jos, Kaduna and Port Harcourt should be delivered in April 2013. SkyBird Air is in the final stage of obtaining its AOC for commercial flight services. Dana Air added a sixth return flight from Lagos to Abuja on Thursdays and Fridays and a fifth flight on Sundays. The airline also announced it will start flying to Port Harcourt again ‘very soon’. The latest issue of Arik Wings is online. New reports on the fraudulent origins of Arik Air’s start-up capital circulated in the media this week. Aero will add a second Dash 8-Q400 (ex-G-JEDN) to its fleet; the aircraft is stored at Exeter. The BAe 125-800B (5N-BOO; ex-5N-AGZ) which formerly belonged to the Presidential Air Fleet has been resprayed at Lanseria. The aircraft is registered to Gyro Air. Wings Aviation’s Beech 200 King Air (5N-IHS) has been parked at Lanseria for years now. Perhaps it will be operated again by JedAir. Four ex-Sonair S76 helicopters are parked at Lagos. The Angolan registered helicopters are apparently acquired by Hak Air. The Nigerian Civil Aviation Authority (NCAA) informs air passengers that they are entitled to compensation from airlines for flight cancellations. Saudia Cargo will increase its weekly frequency from Hongkong to Lagos. 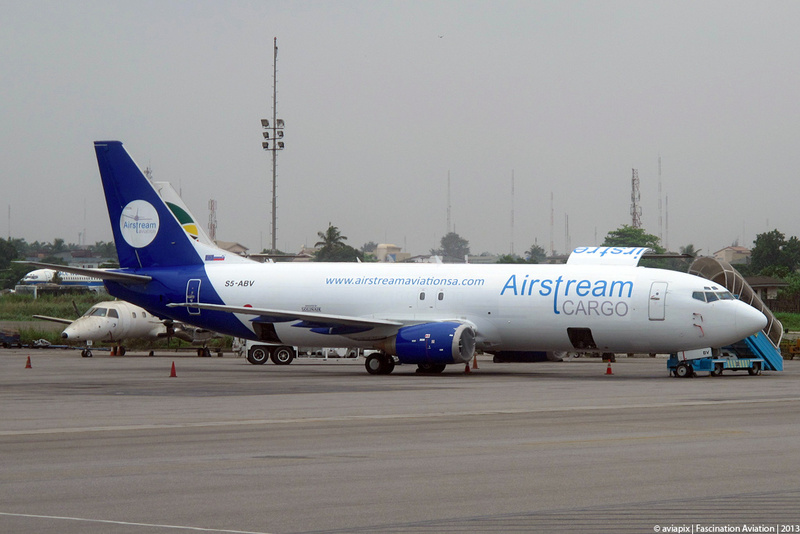 Since December 2012, Airstream Cargo has been operating a B737-400F (S5-ABV), leased from Solinair, out of Lagos, using Axiom Air’s call sign. According to the Nigerian Civil Aviation Authority (NCAA), seven new airlines have applied for an Air Operator’s Certificate (AOC). Among the applicants are several current charter operators: Prime Air, Gyro Air, EasyJet, Air Taraba, as well as the newcomers Azman Air and Hak Air. The last unidentified start-up airline is called EAS – also the name of a defunct carrier, which could stand for Empire Aviation Services. Lagos-based start-up airline Discovery Air intends to launch commercial flight services with a fleet of B737-300s and CRJ-200s. The airline plans to serve several domestic and regional destinations from Lagos Airport, but no date has been given yet for the start of operations (likely to Abuja and Port Harcourt). The new airline is part of the First Deepwater Discovery group of companies, led by Babatunde Babalola.